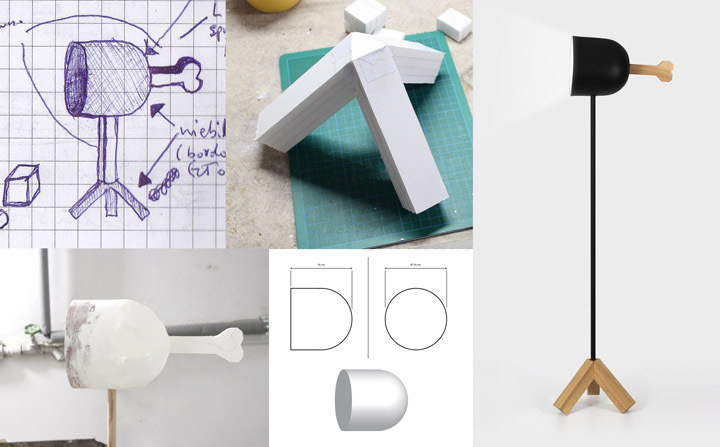 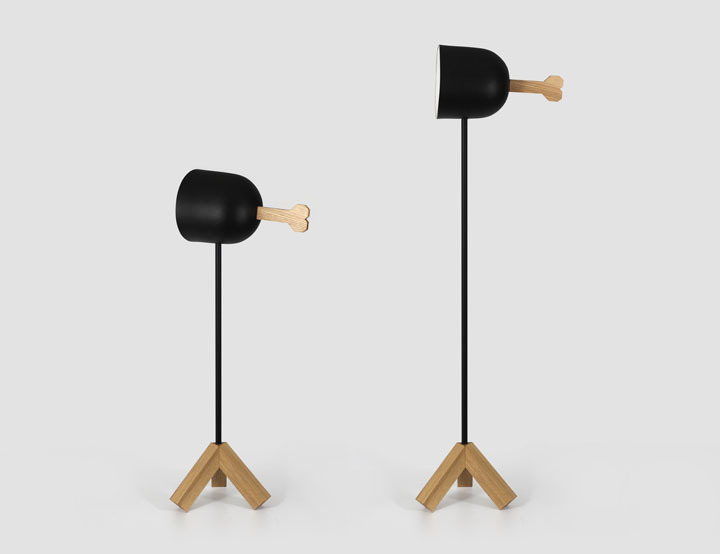 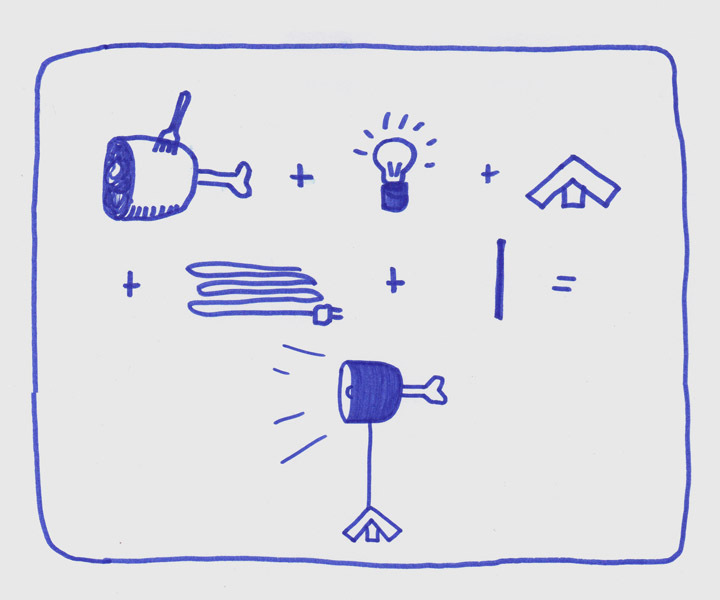 A standard lamp whose form brings to mind a joint of meat with a bone sticking out. 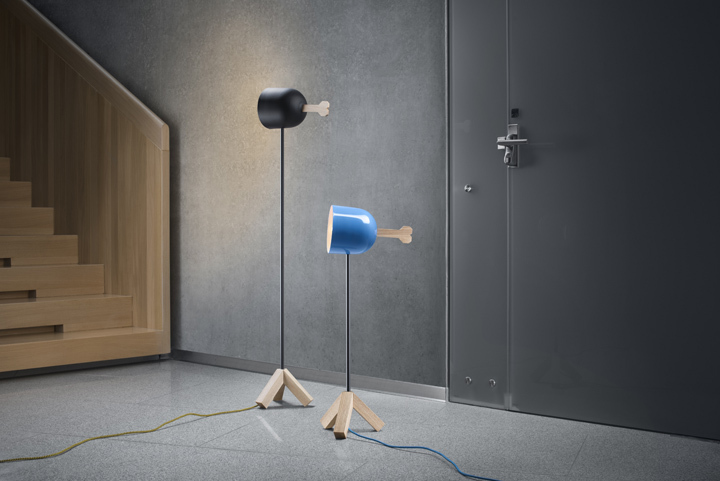 This perverse association is purposeful and additionally strengthened by the lamp’s aesthetics, its sophisticated form and used materials: ash wood and powder-coated metal elements. 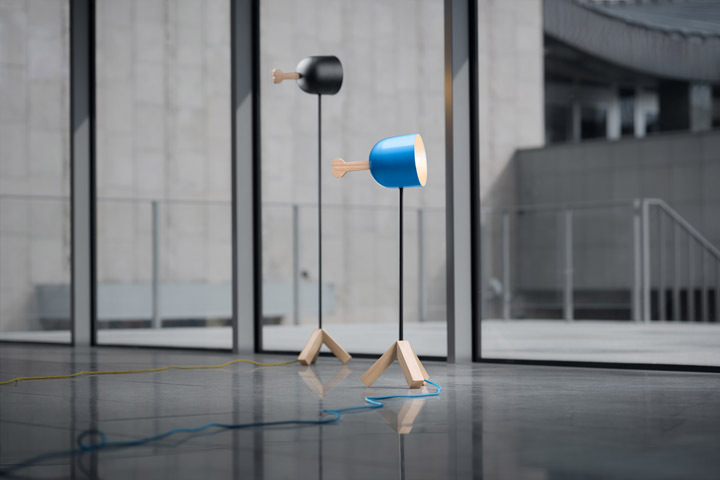 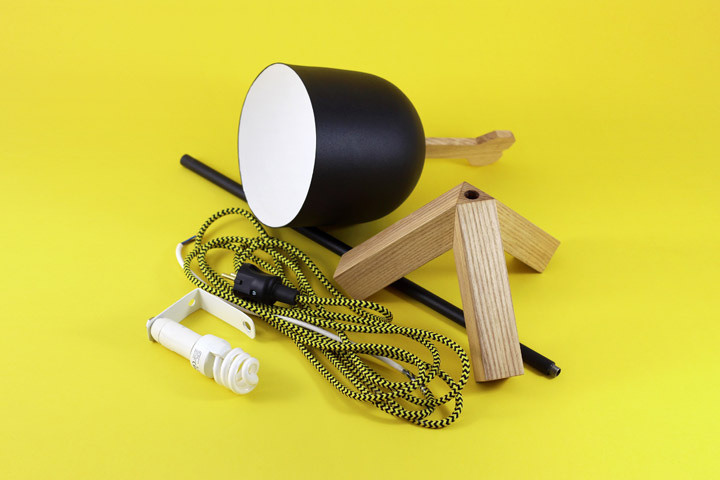 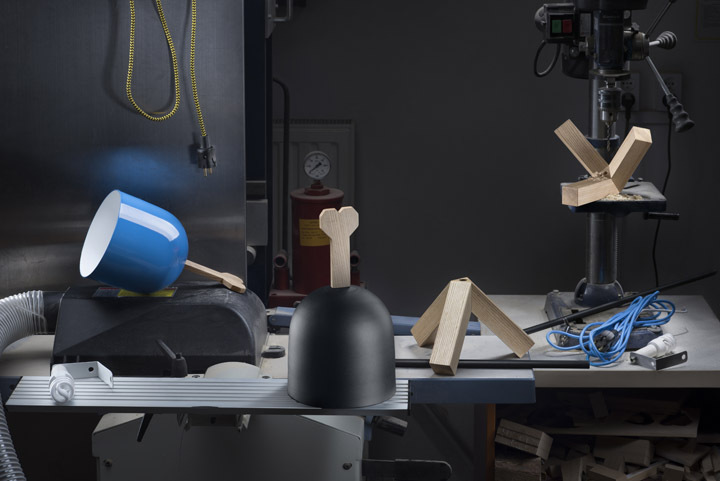 The lamp comes in two versions: a lower one with a blue shade and blue cord and a higher one with a black shade and a yellow and black cord.